On our honeymoon we will be pampered with a stay in the King Hilton Guest Room. This relaxing room is beautifully decorated with modern designs and fine furnishings, including a work desk with an ergonomic chair. Our soothing sanctuary boasts a 32-inch flat screen TV, a mini bar, a king-size Hilton Serenity Bed with luscious linens, slippers, and a bathroom with lavish amenities. Outside on the balcony, we will sit back and enjoy beautiful views of the city, pool or lush gardens. Our romantic honeymoon at Hilton Park Nicosia will be enhanced with a stay in the One Bedroom Suite. This honeymoon haven is decorated with modern designs and fine furnishings with a seating area with a sofa, a dining room with a dining table and chairs, and work desk with an ergonomic chair. This spacious one-bedroom suite promises us a 32-inch flat screen TV, a mini bar, a king-size Hilton Serenity Bed with luscious linens, fluffy bathrobes, and a bathroom with lavish amenities. From the comfort of our balcony, we will sit back and enjoy beautiful views of the city, pool or lush gardens. We will luxuriate in the enchanting surroundings of the Presidential Suite. This romantic retreat is designed with modern décor and fine furnishings in the living and dining rooms and the conference room with a sofa, a dining table and chairs, and a work desk. Our stunning suite promises us a 37-inch flat screen TV, a kitchenette with a mini-fridge, a mini bar, a king-size Hilton Serenity Bed with luscious linens, fluffy bathrobes and slippers, and two marble bathrooms with lavish amenities, one with a separate walk-in three-jet body shower and a separate whirlpool hydro spa jetted bathtub. From the comfort of our balcony, we will sit back and enjoy beautiful views of the city, pool or lush gardens. A stay in the Two Bedroom Suite on our romantic honeymoon at Hilton Park Nicosia will be a wonderful wedding gift! This stunning sanctuary is designed with modern décor and fine furnishings in the living and dining rooms with a sofa, a dining table and chairs, and a work desk. Our stunning suite promises us a 32-inch flat screen TV, a mini bar, a king-size Hilton Serenity Bed with luscious linens and two twin-size beds, fluffy bathrobes, and a bathroom with lavish amenities. Outside on our balcony, we will sit back and enjoy beautiful views of the city, pool or lush gardens. 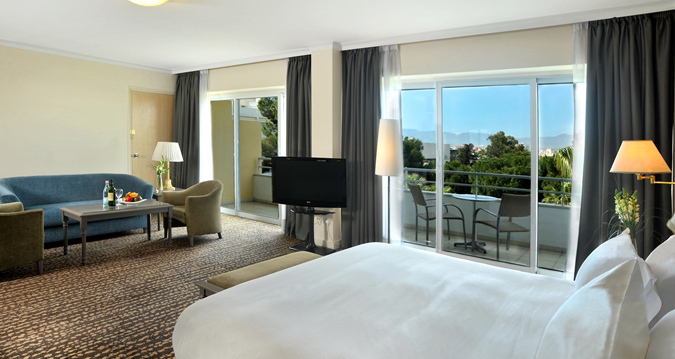 The King Hilton Executive Room promises us an exceptional honeymoon stay at Hilton Park Nicosia! This romantic retreat is designed with modern décor and fine furnishings in the separate seating area with a sofa and a work desk. We will have access to the Executive Lounge, which includes complimentary breakfasts and beverages. 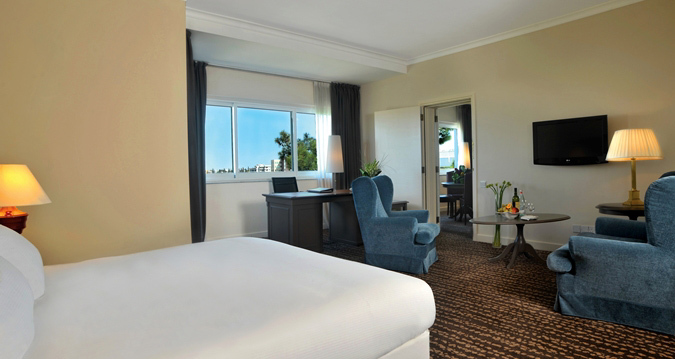 Our King Hilton Executive Room boasts a 37-inch flat screen TV, a mini bar, a king-size Hilton Serenity Bed with luscious linens, slippers and bathrobes, and two marble bathrooms, one with a bathtub and three-jet body shower and lavish amenities. Outside on our balcony, we will sit back and enjoy beautiful views of the city, gardens and mountains. 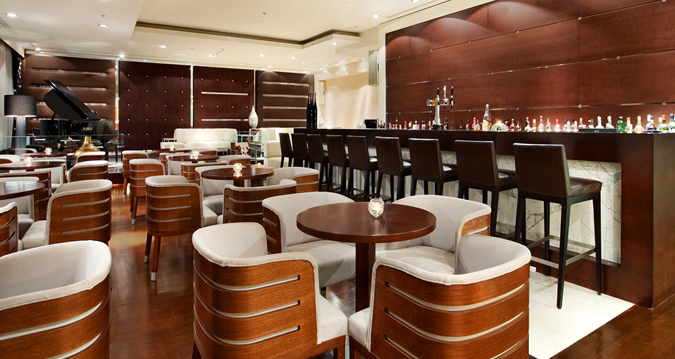 Amalfi Lounge Bar combines modern and rustic decor, and offers an intimate yet lively atmosphere. We will be served a wide variety of drinks and cocktails, and a large selection of delicious food, including light snacks and Hilton classics. We will choose a freshly prepared sushi platter or a tasty grilled pastrami and emmenthal ciabatta. We will indulge in one of their specially designed “Duet” combinations such as wonderfully sharp Gorgonzola paired with a clean, fruity Chardonnay, or the marriage of bittersweet dark chocolate and a robust port. 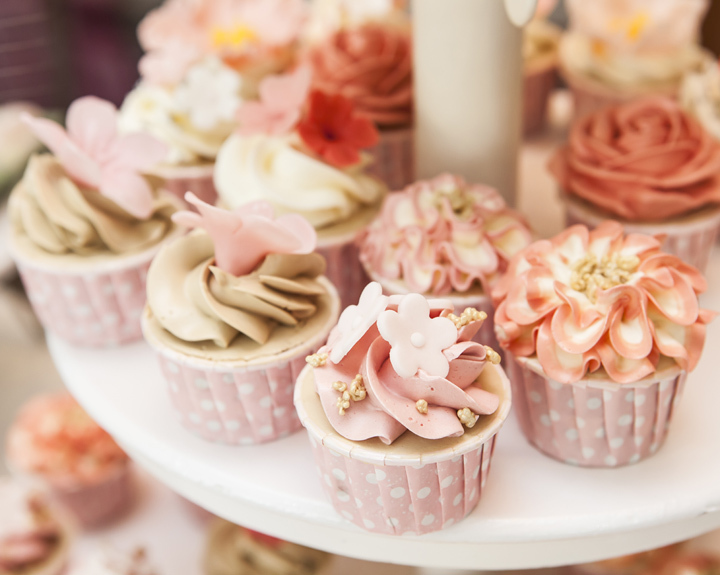 We will finish with a choice of fragrant coffees and delectable desserts. 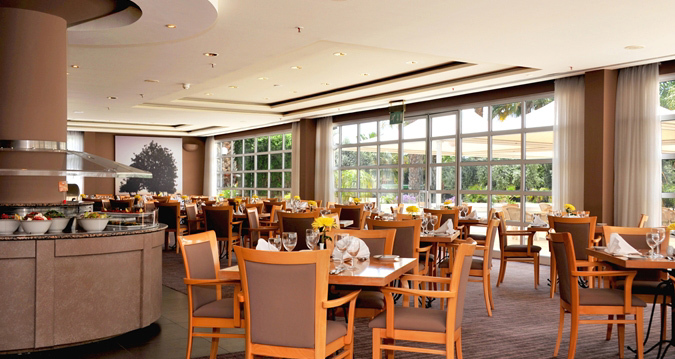 At Hilton Park Nicosia, we will unwind in the relaxing, intimate atmosphere of the Olympia restaurant, while their chef expertly prepares both exotic and traditional cuisine. We will savor a starter of Trachana Soup or Stuffed Portobello Mushrooms, followed by a tender and juicy Filet Mignon or a creamy Seafood Risotto. For dessert, we will indulge in a rich Chocolate Rum Fondue or Crepes Suzette prepared freshly at our table. 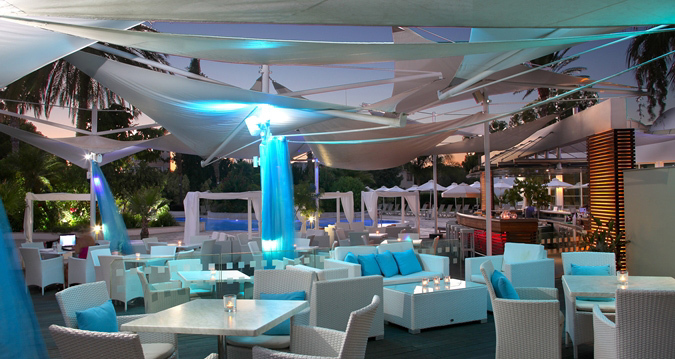 We will enjoy any meal in this relaxed and intimate atmosphere, overlooking the lagoon-shaped swimming pool. A super-stylish oasis in the bustling capital, the Sorrento Pool Bar & Grill offers us a tranquil haven for those seeking a getaway. Inspired by the Italian coast region around Sorrento and Amalfi, the Sorrento Pool Bar & Grill is designed in a modern and exotic style. The boat-shaped bar has a marble top, the floor is decorated with rustic parquet, there are round white tables with wooden chairs, and coffee tables with armchairs and divan, while the bird-shaped umbrellas provide shade. Located in a peaceful neighborhood and a ten-minute drive from the city center of Nicosia, Cyprus, the Hilton Park Nicosia hotel promises us the chance to experience the trip of a lifetime. 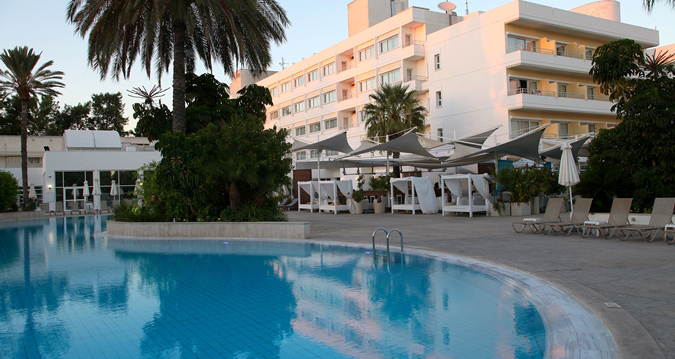 With excellent service, this hotel provides exceptional amenities and extras. We will savor innovative dishes and delicious drinks in the restaurant, grill and bar, and lounge. From the comfort of our room we can dine indoors by ordering room service. At the spa at Sana Hiltonia Health and Fitness Centre, we will unwind with an array of spa treatments and massages. With your wonderful wedding gift, we will create unforgettable honeymoon memories with this extra hotel credit! 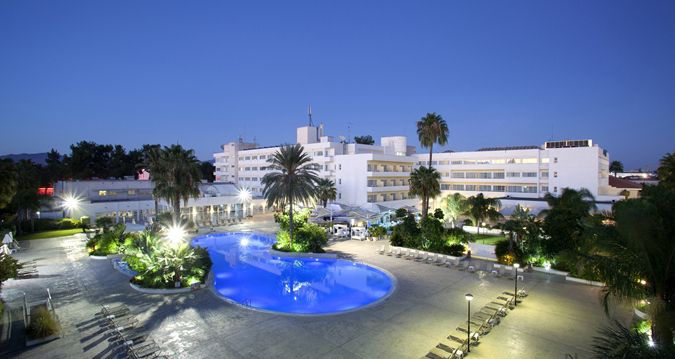 Hilton Park Nicosia is set in a peaceful area of one of the most prestigious neighborhoods of the capital city, Nicosia on the enchanting island of Cyprus. The hotel is in a great location, close to many museums, entertainment areas and the Horse Race Club so we can explore on our own. We will unwind in a guest room with modern amenities offering us a comforting haven to relax and enjoy our honeymoon stay. 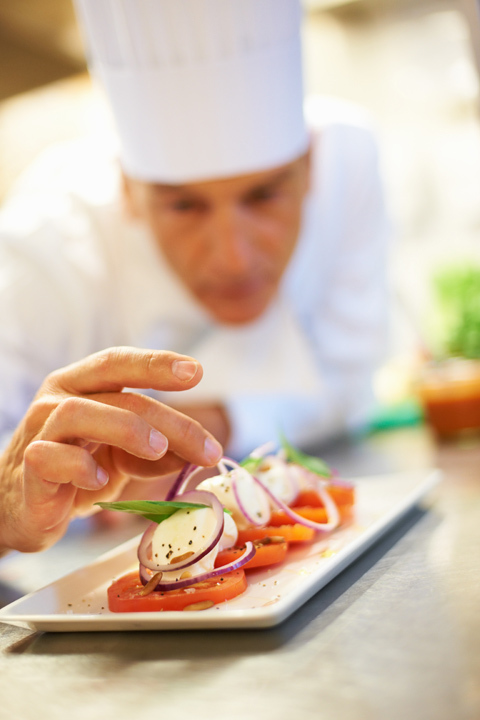 We will sample local cuisine or choose traditional favorites poolside in one of three dining and beverage venues. At the Sana Hiltonia Health & Fitness Club, we will workout in the gym, take a refreshing swim in the indoor or outdoor pools, relax in the sauna or whirlpool or discover pure honeymoon bliss with a soothing spa treatment. 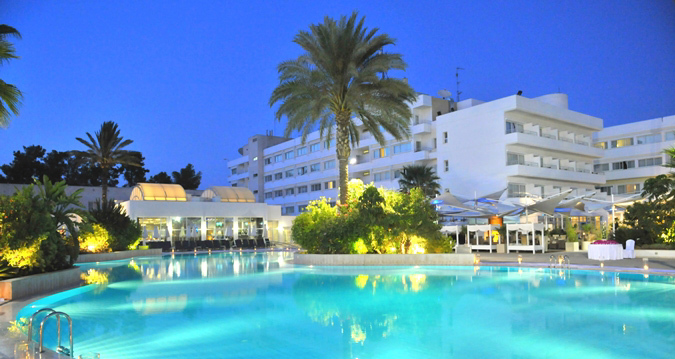 Hilton Park Nicosia will enhance our honeymoon with special touches, impressive amenities and warm hospitality. A chilled bottle of champagne will be delivered to our room or suite. We will make a toast to our charming and romantic honeymoon in Nicosia, Cyprus while taking in the panoramic views of the city, mountains and gardens from the comfort of our room. A bottle of our favorite wine will be delivered to our room at Hilton Park Nicosia. We will make a toast to our honeymoon while taking in the striking views of the city, mountains and gardens from our balcony. 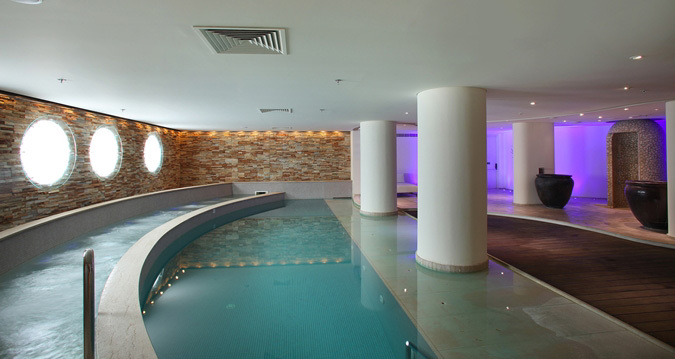 On my honeymoon I will take delight in the Marine Prelude in the Sana Hiltonia Spa. Marine salts and 100% natural mud from the Dead Sea will create an effective synergy to relax to the body, deeply exfoliate the skin, re-mineralize and banish roughness. To revive a dull complexion and stressed skin, this professional treatment will re-awaken my epidermis and will bring it luminosity and vitality. My complexion will feel fresh and my skin will be supple and bursting with health, recovering the radiance of healthy skin. In the tranquility of Sana Hiltonia Spa, I will take delight in the Aroma Essential Facial on my honeymoon. 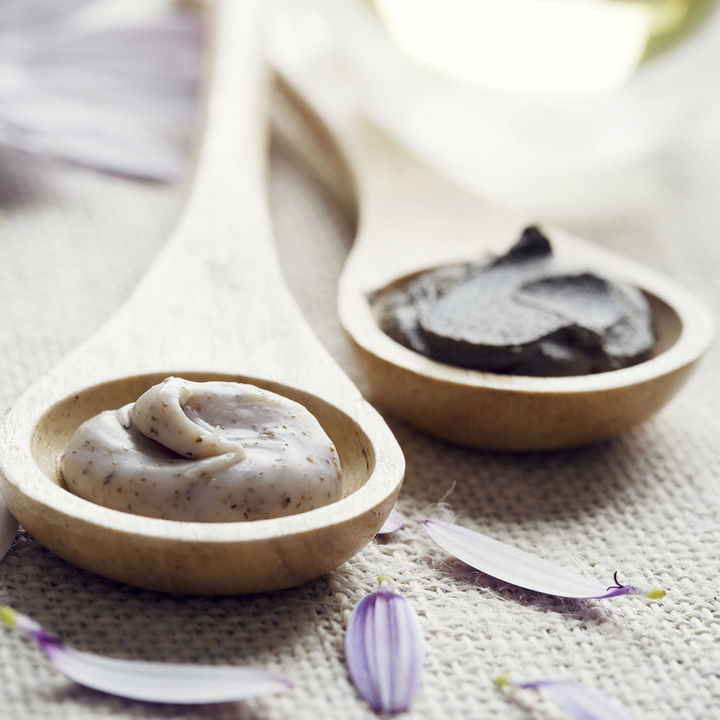 Combining the purest essential oils, plant extracts, and a cool marine algae mask, this facial is the ultimate in relaxation. It will soften expression lines and relieve tension for all skin types. With your wonderful wedding gift, I will take delight in the Aromatherapy Massage on my romantic honeymoon. A complete full-body massage using essential oils from plants and herb extracts, followed by a consultation with my therapist will determine if other essential oils are needed. Detoxification, stimulation or relaxation oils are chosen to suit individual needs. 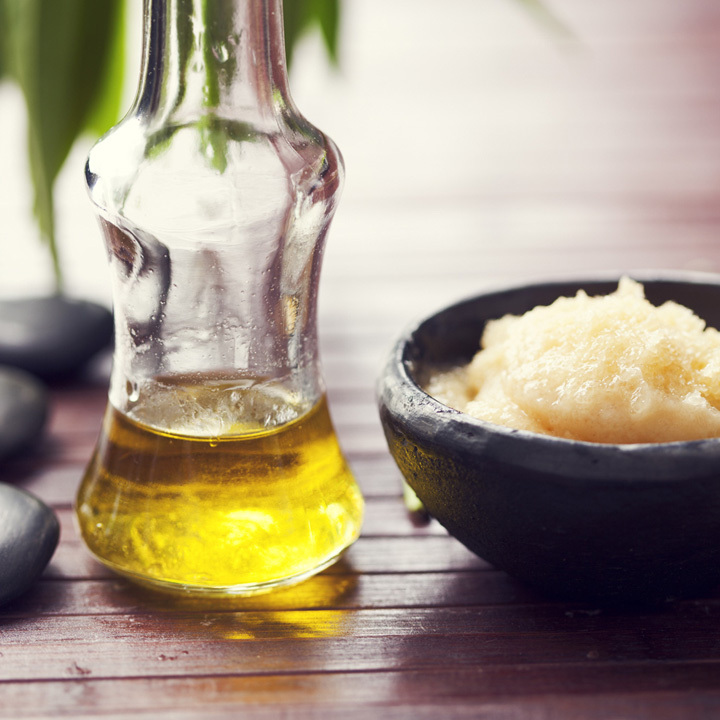 The aromas from the oils have a therapeutic effect, inducing a feeling of well-being. Stone Therapy is a technique combining different cultures from the American Indian, Tibetan and Japanese cultures. It evokes an invitation to travel to foreign lands with volcanic stones from Peru and Hawaii and is the new “indispensable” spa treatment, accessible to salons. This technique shows how properly positioned and skillfully handled stones loosen and relax key tension areas, thus successfully releasing accumulated stress. One of the most complete and indulgent massages I can ever have, the Relaxation Massage is a full-body treatment involving soft music, soft lighting and oils. It will relieve muscle tensions and concentrate on soothing away fatigue and stress while alleviating tension of the body and mind. This care offers deep relaxation (inviting sleep) with the careful expert handling of volcanic stones, providing decongesting effects on muscular and nervous tension. I will be gently awakened by the “raindrop technique” of cold marine stones resulting in increased tissue oxygenation. The treatment is completely purifying, re-mineralizing and relaxing. My nails will be professionally clipped, shaped and buffed with special attention paid to my cuticles. A gentle hand-massage and soothing paraffin treatment will release the tension and stress commonly found in the hands. This lavish manicure will end with my choice of my favorite nail polish. This soothing journey will begin with a softening foot soak followed by a moisturizing foot massage, gentle callous removal, and a rejuvenating paraffin bath. To conclude the treatment my nails will be trimmed, shaped, buffed, and will be painted with an application of my favorite nail polish. We will celebrate the greatest day of our lives at Hilton Park Nicosia! With your generous wedding gift, we will experience a private and intimate wedding ceremony while our family and friends gather to witness our beloved day. Our on-site wedding coordinator will take care of every single detail for our big day from our ceremony to the reception and all guest arrangements. Whether we are planning an elegant event or an intimate wedding, Hilton Park Nicosia will ensure that our day is pure perfection!